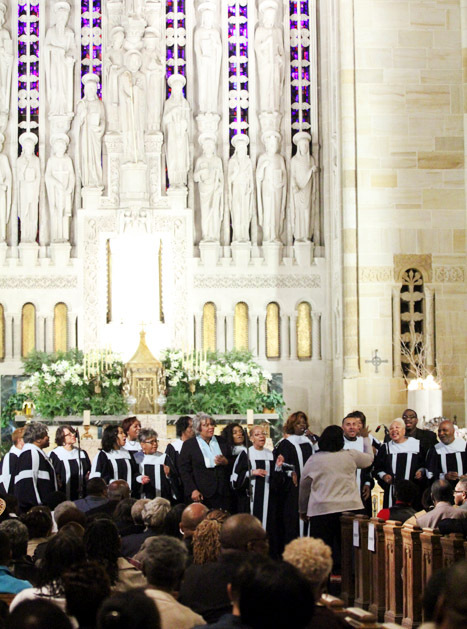 View video of the concert here, and read more about it here. Paula Holloway leads St Raymond of Penafort Choir as they perform during the Stop Up for Our Youth Concert. 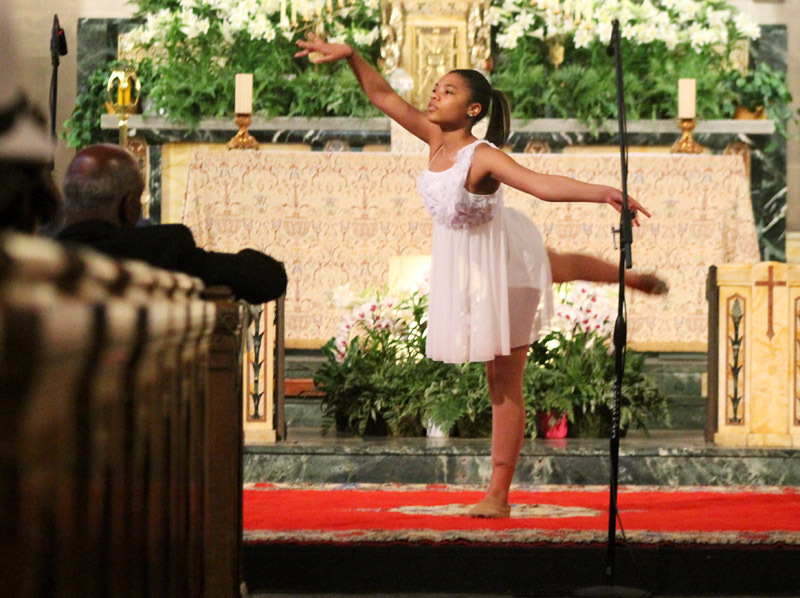 Tatyana Studivant performs a beautiful dance of praise. 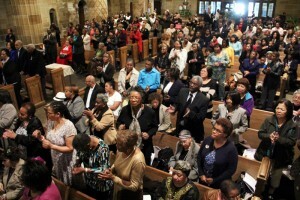 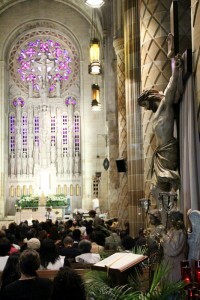 The entire church is brought to their feet as the church is filled with praise. 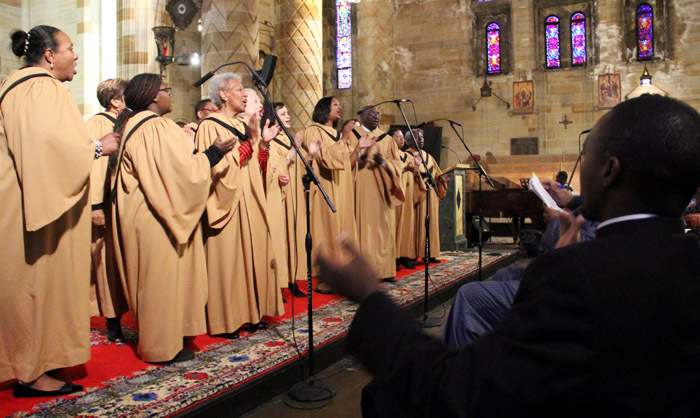 The crowd claps along with St Raymond of Penafort Choir. 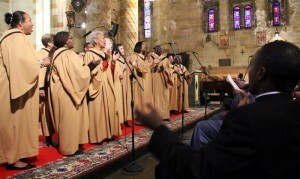 St Raymond of Penafort Choir raise their voices. 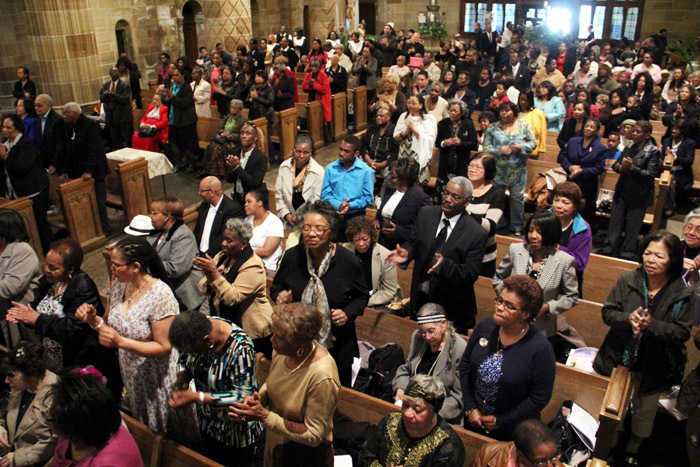 People fill Our Lady of Hope Church on Broad Street for the Step Up for Our Youth Concert. 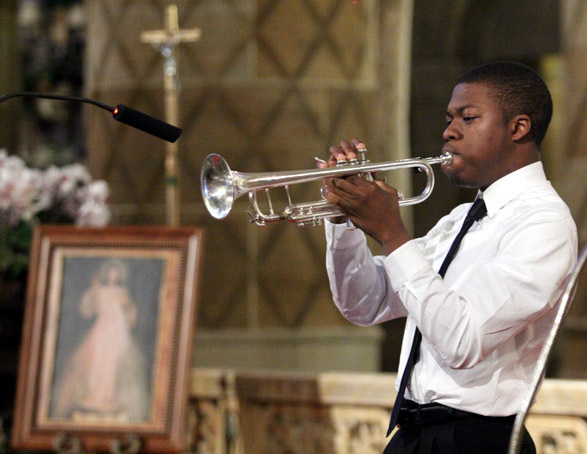 Emmanuel Ohemeng performs Take Me To the King on the trumpet. 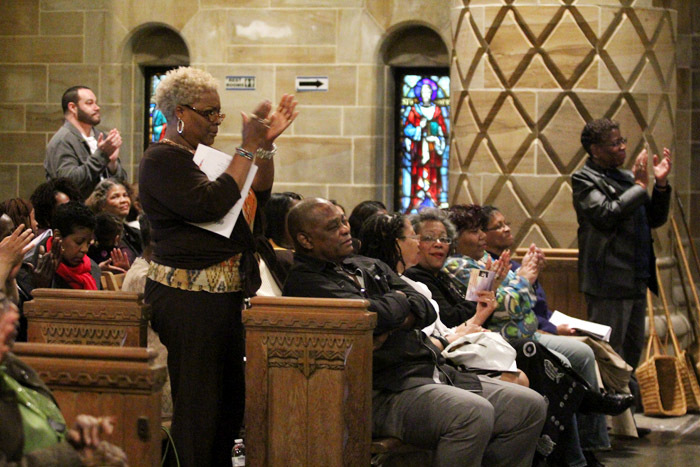 The crowd is brought to their feet as they are filled with inspiration from the beautiful music filling the church. 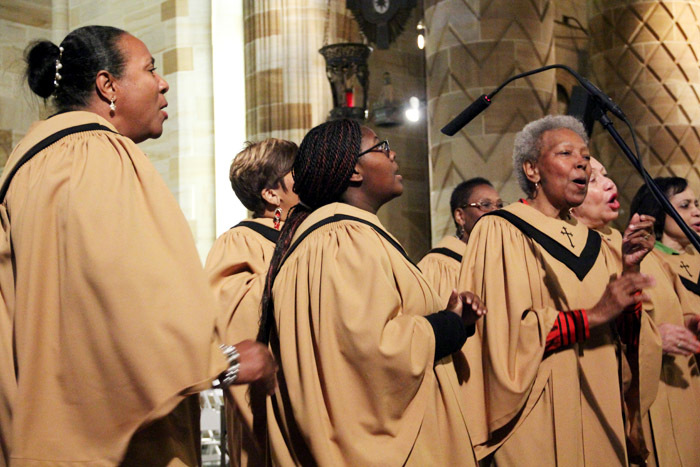 Jayne E. Cook from St Martin de Porres Choir passionately sings I Look to You. 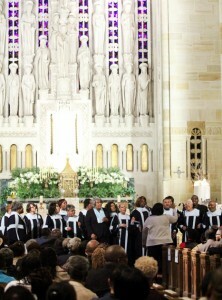 St Martin de Porres Choir, led by Tonya Dorsey, fill the church with praise. Ms. Devynn Gray, a junior at Little Flower High School and member of St Martin de Porres Parish, co-emceed the event. 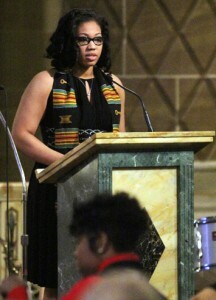 Tonya was a recipient of a New Vision Scholarship in 2009. 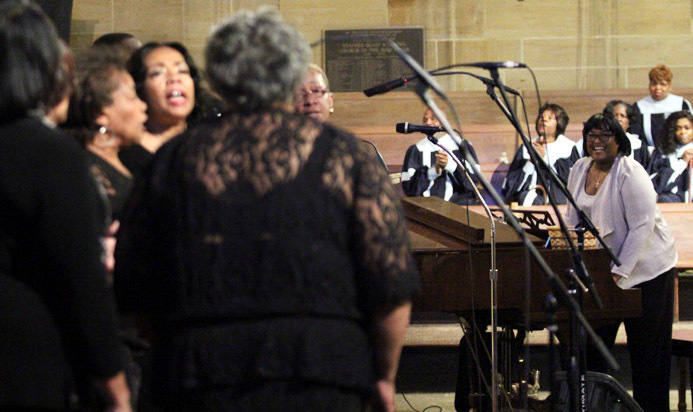 Tonya Dorsey directs New Vision choir. 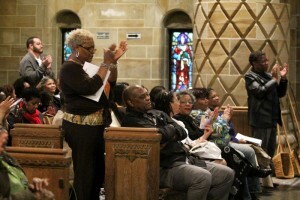 The proceeds from the show benefited youth programs at Our Lady of Hope and the Office for Black Catholics as well as scholarships in the arts through Tonya Dorsey and New Vision Foundation. 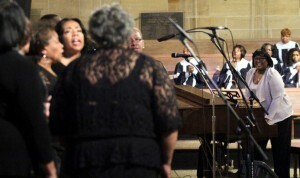 Tonya Dorsey and New Vision choir, which Tanya is director of, opened the concert. 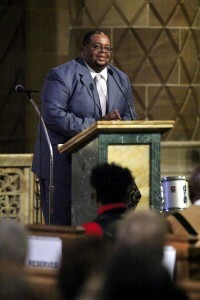 Dwayne McDonald, director of Public and Community Affairs and producer of Gospel Buzz at WNAP-1110AM, emceed the event.